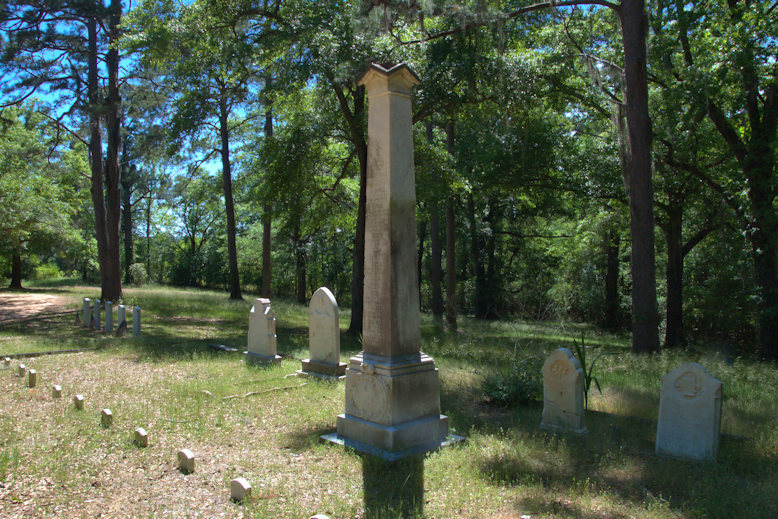 This secluded cemetery, historically known as Old Capitol Cemetery, is located on the western edge of Louisville on US Highway 221. Notable as the final resting place of two of the best-known politicians of early Georgia (one considered such a scoundrel that newspapers of the period cheered his passing with sarcastic obituaries), it also contains cenotaphs for men who fought in the American Revolution, the War of 1812, and the Civil War, as well as early Louisville settlers. 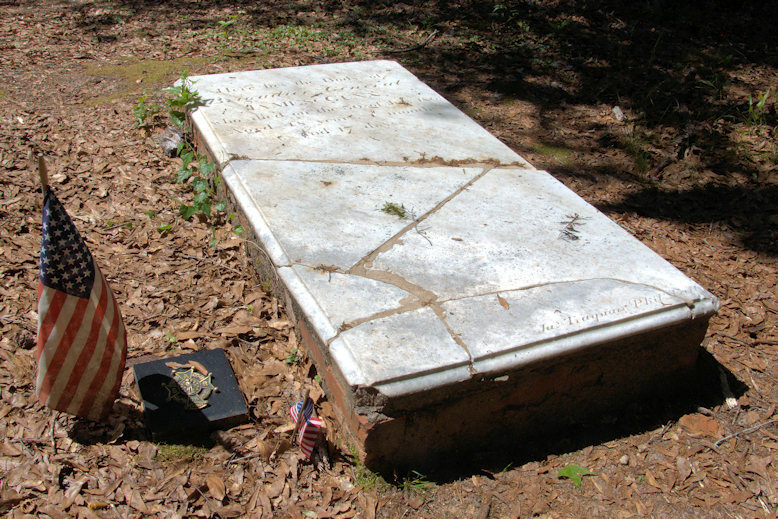 Senator James Gunn (13 March 1753-30 July 1801) – Though the headstone notes his rank in the Georgia Militia, Gunn was, more importantly, one of Georgia’s first two United States Senators. 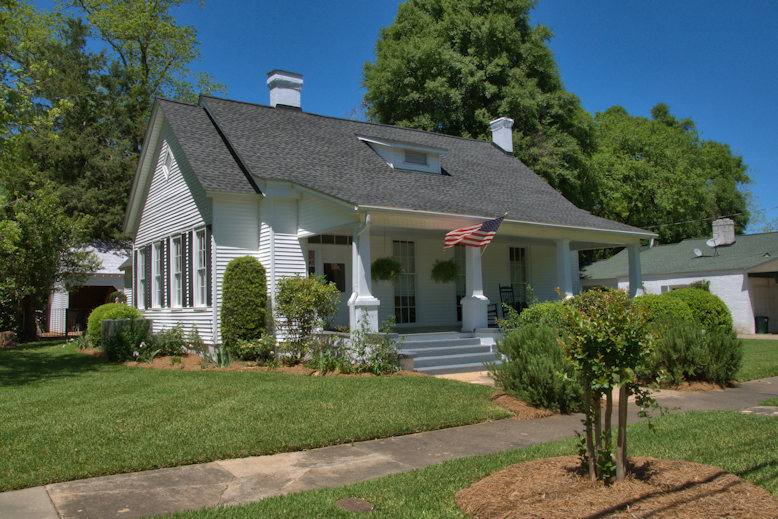 James Gunn came from Virginia to Savannah where he began practicing law. He was a captain of a volunteer brigade of dragoons in the Revolutionary War and was among General Anthony Wayne’s forces who helped drive the British from Savannah. He was made a brigadier general in the state militia after the Revolution. He was elected to the Continental Congress in 1787 but did not serve. Along with William Few, he was one of Georgia’s first two U. S. Senators, elected as a Federalist in 1789. He attended Washington’s inauguration in New York City. 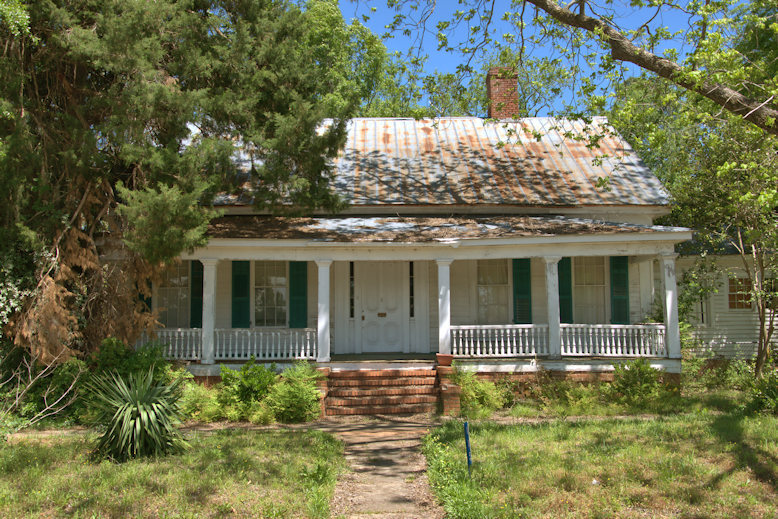 Unfortunately, in 1794 Gunn was one of the primary figures in the Yazoo Land Fraud, having been an organizer of the Georgia Company which perpetrated the fraud. He delayed formal submission of the Georgia Company’s proposal to sell off western lands until after his reelection to the Senate. As soon as it became public, Gunn was the subject of outrage throughout the state but no formal charges were ever brought against him. Upon his death, just four months after his term in the Senate had ended, Gunn was ridiculed in obituaries around the state. 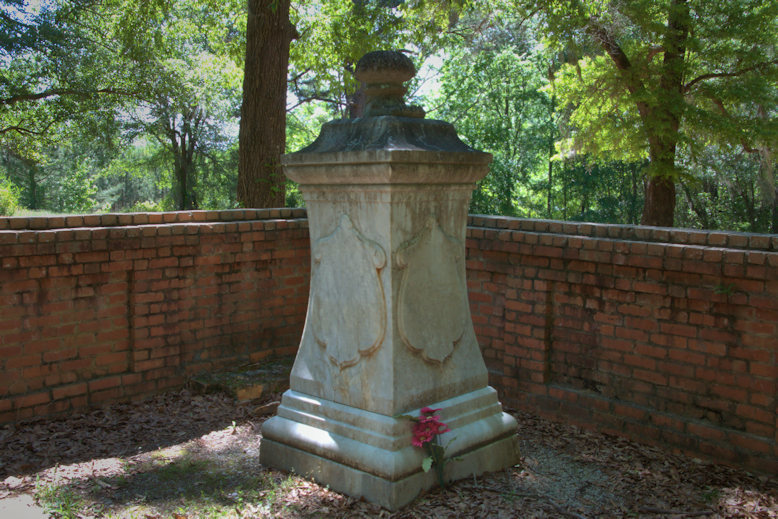 Gunn’s wife, Mary Jane Wright (6 December 1763-13 May 1796) of Savannah, committed suicide by drinking poison. 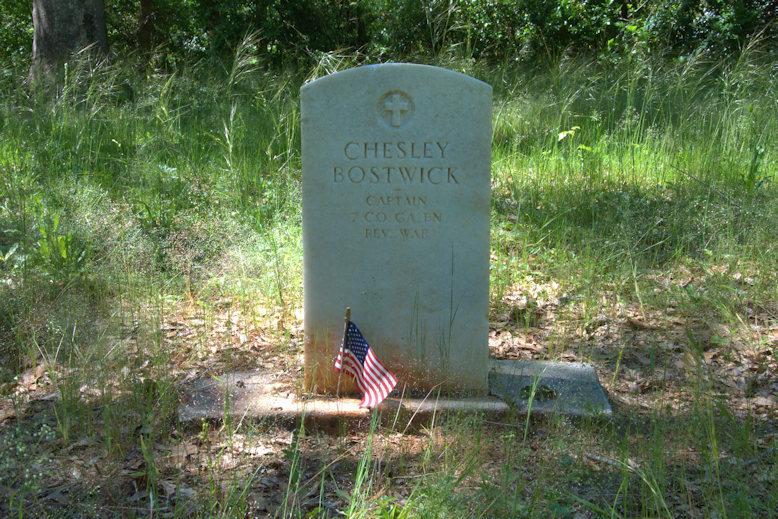 She was buried at the family cemetery at Litchfield Plantation. 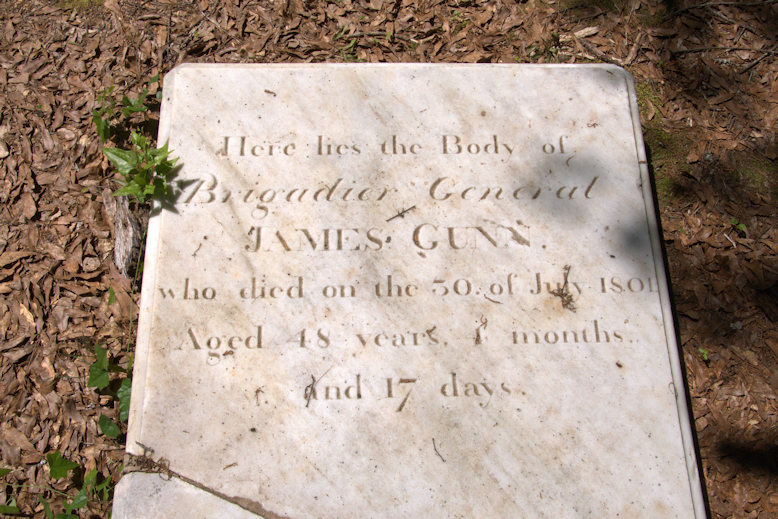 Though Gunn’s reputation is questionable, the damage to his gravestone is very unfortunate. It was carved by James Traquair, a Scottish immigrant who became a prominent stonecutter in Philadelphia. 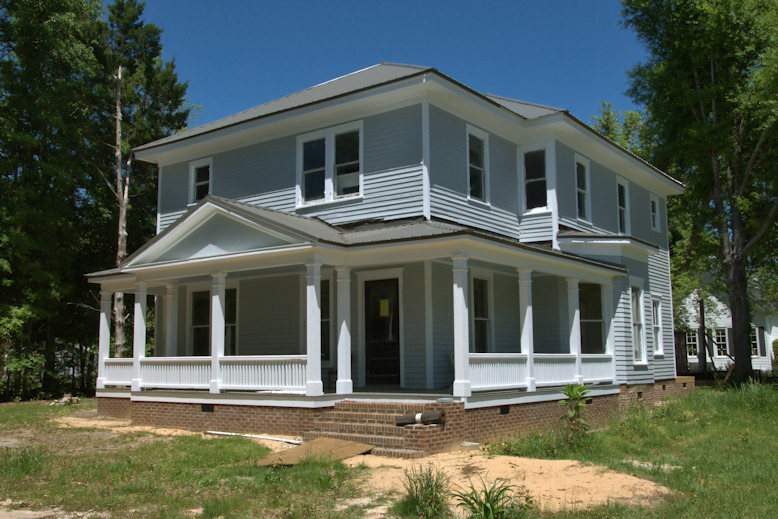 Traquair worked with America’s first professional architect, Benjamin Latrobe. 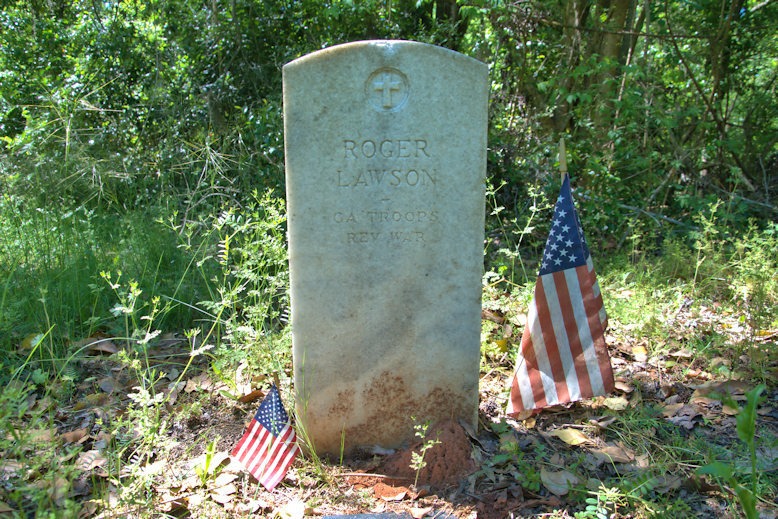 Roger Lawson Gamble (1787-20 December 1847) – Gamble grew up near Louisville and was admitted to the bar in 1815, having served as an officer in the War of 1812 and a member of the state house (1814-1815). 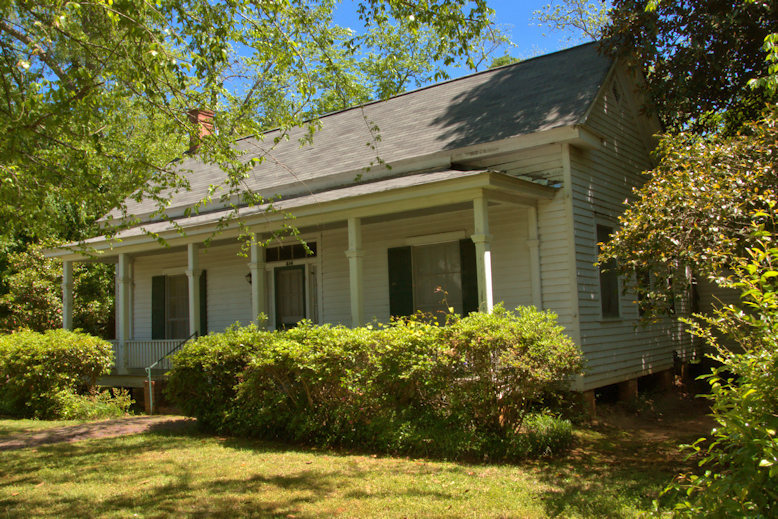 He served as Georgia’s Attorney General from 1816-1822. 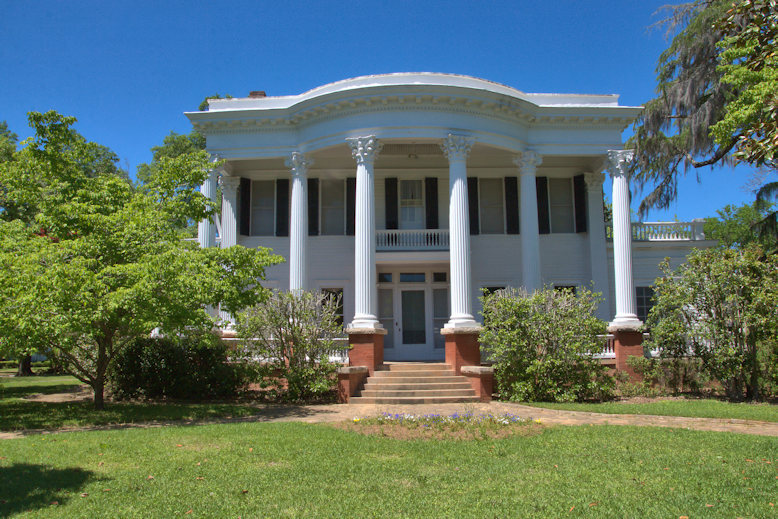 He was elected as a Jacksonian to the 23rd Congress in 1832, serving one term. He was again elected, as a Whig, to the 27th Congress in 1841. He served as a judge of the Superior Court from 1845-1847. The crypt was carved by W. Glendinning, a stone mason active in Augusta in the mid-19th century. [Source 1859 Augusta City Directory]. 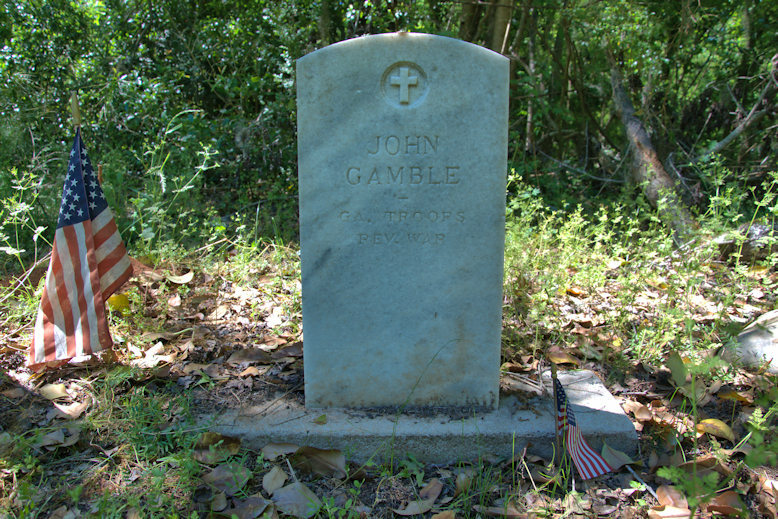 John Gamble (1740- 1806) – Georgia Troops, Revolutionary War – I’m unable to confirm that John Gamble is a relative of Roger Lawson Gamble but assume there to be a connection. 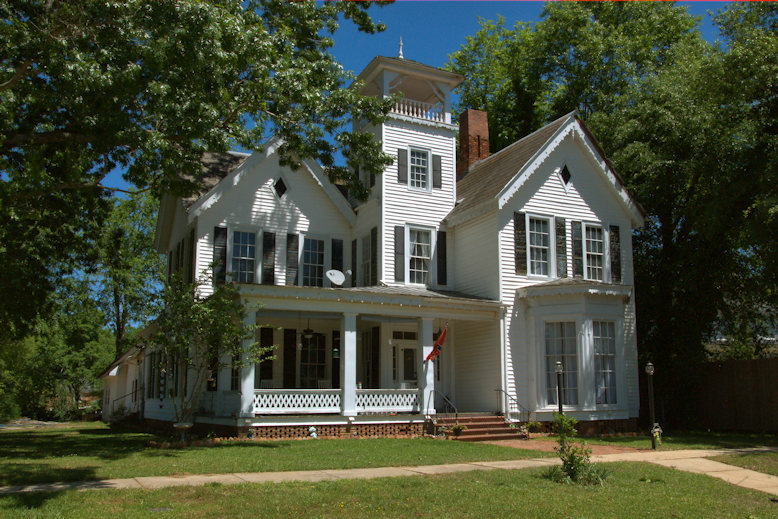 In 1772, John emigrated to Brunswick, Georgia, on the Brittania. Major Patrick Carr (? 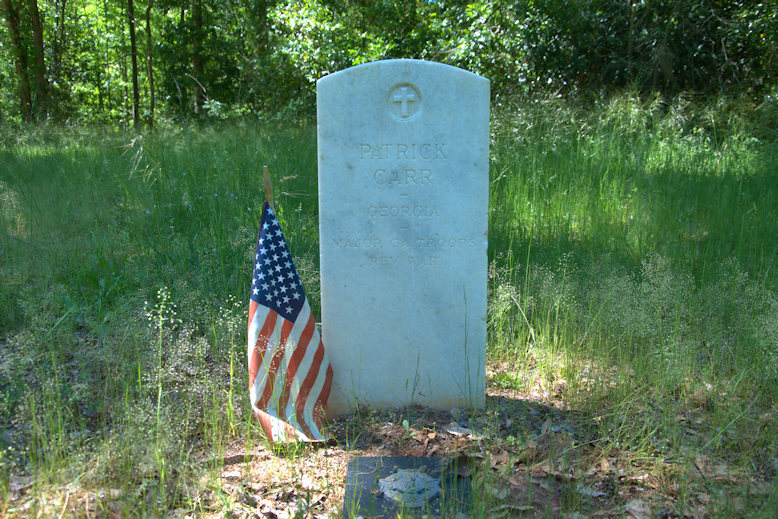 Ireland-1802) – Georgia Troops, Revolutionary War – Carr was present at the Battle of Kings Mountain. 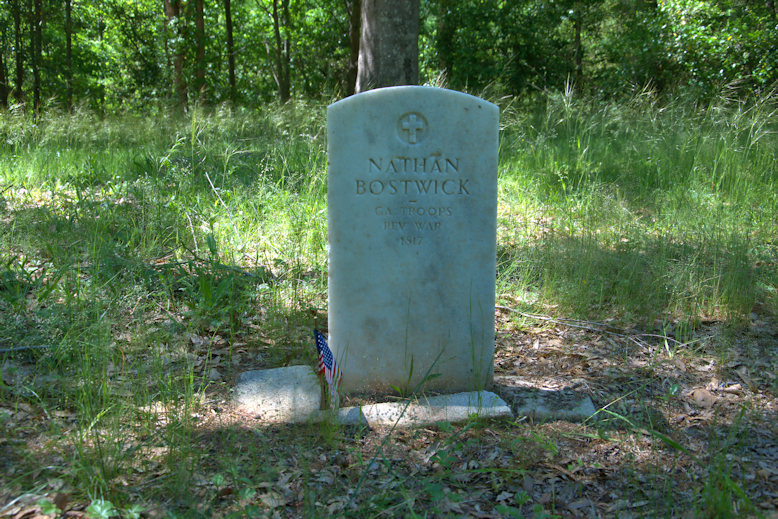 Nathan Bostwick (26 January 1746-9 May 1817) – Georgia Troops, Revolutionary War – Bostiwick was born in Suffolk County, Virginia. He may have been the brother of Chesley, but this is not presently confirmed. 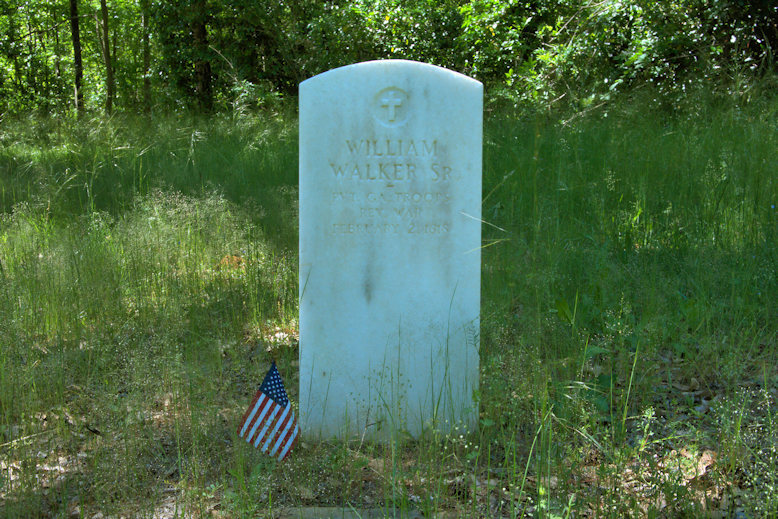 Private William Walker, Sr. (17 December 1762-2 February 1818) – Georgia Troops, Revolutionary War – Walker was born in Buckingham County, Virginia. 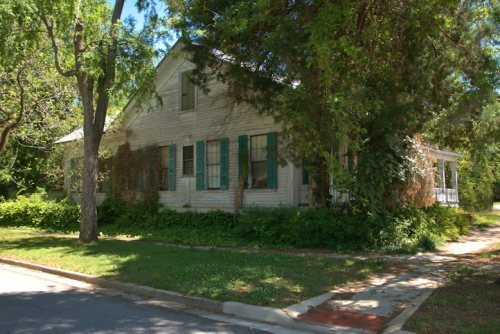 Mary Hubbel Savage Wright (28 December1825-23 June 1854) – Mary was the first wife of Confederate Major General Ambrose Ransom “Rans” Wright, who was possibly the son of Captain Ambrose Wright. 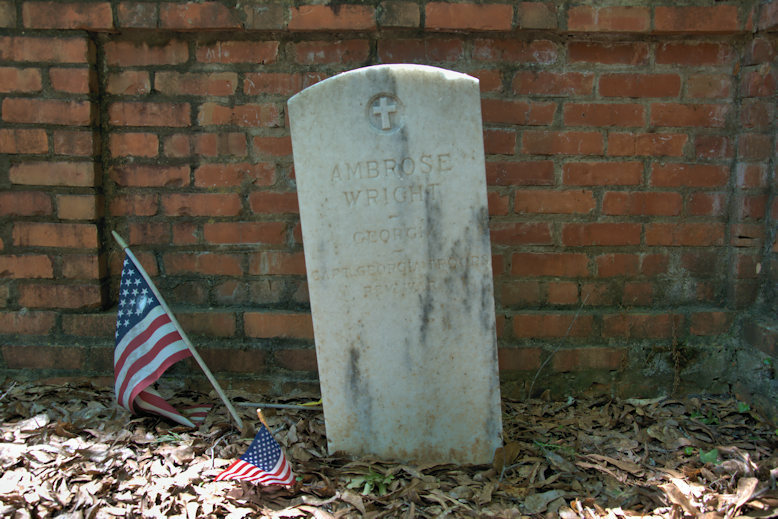 She was the daughter of Dr. William & Mary Savage, of Augusta. 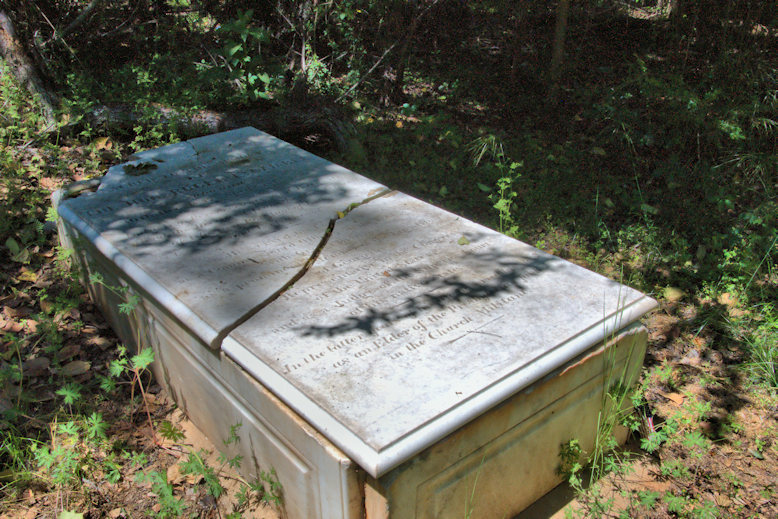 She died in childbirth, and her twins are buried within this enclosure, as well. Though Findagrave notes that this may only be a memorial and that Mary may actually be buried at Magnolia Cemetery in Augusta, this seems unlikely, as the text of the stone notes that her remains are here. Investigation into the matter is needed to confirm. 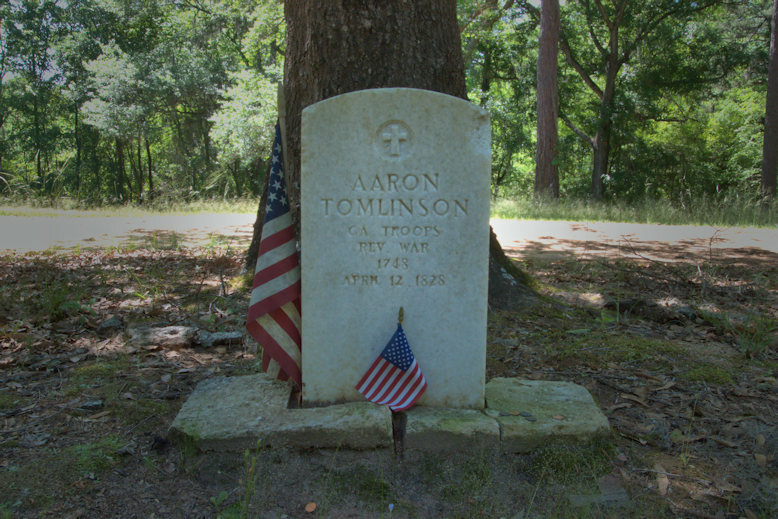 Thompson Markers – Various members of the Thompson family, representing three wars, are memorialized here. It is possible that these are cenotaphs and the exact whereabouts of the decedents within the cemetery is unknown. 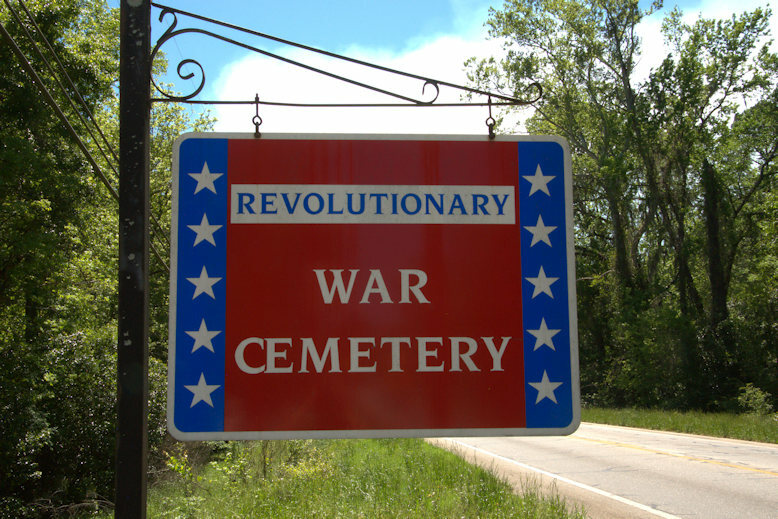 John Thompson and William Thompson are both listed with birthdates of 1750 and death dates of 1826, and with notice of service in the Continental Line, Revolutionary War. 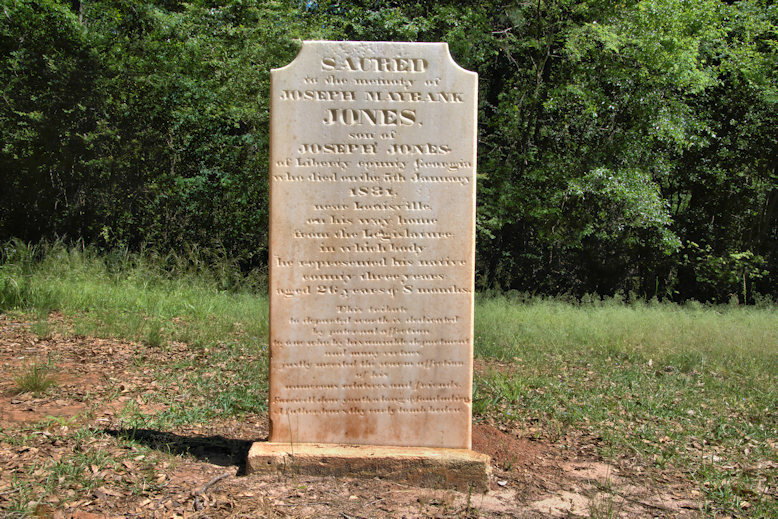 Joseph Maybank Jones (7 May 1804-5 January 1831) – Jones, a native of Liberty County, died near Louisville on his way home from the legislature in Milledgeville and was buried here. Family of Owen (9 March 1806-27 January 1877) & Bdelia (11 March 1811-15 September 1884) McDermott . 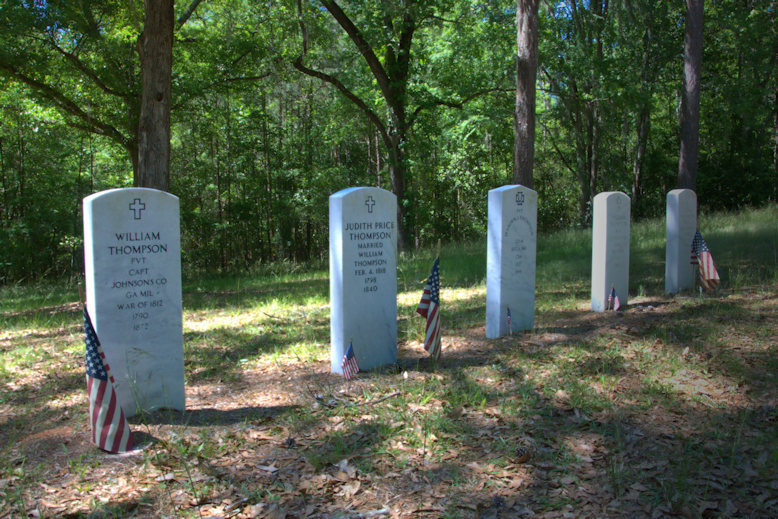 Fourteen more family members are buried here. Seth Pierce (1756-1841) Revoultionary War Veteran & Obediah Pierce (1805-1884) – Cenotaph. Obediah’s three children are memorialzed, as well. 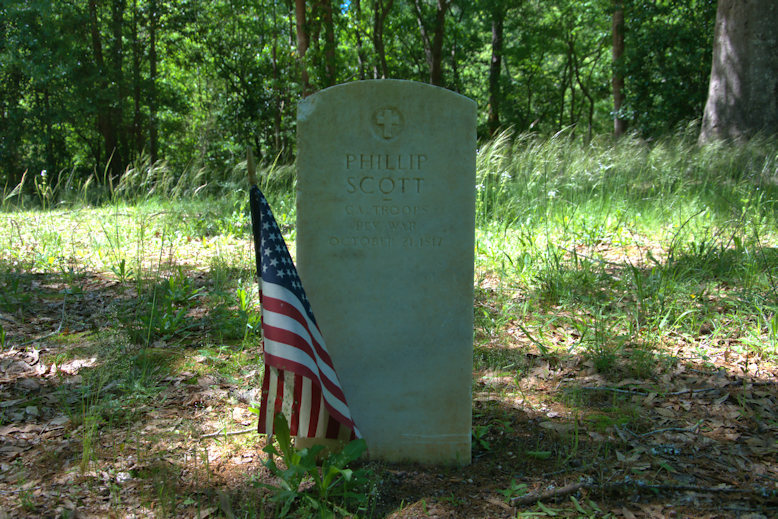 His sons, Obediah, Jr., and John W. were Confederate soldiers, who appear to have died in service. 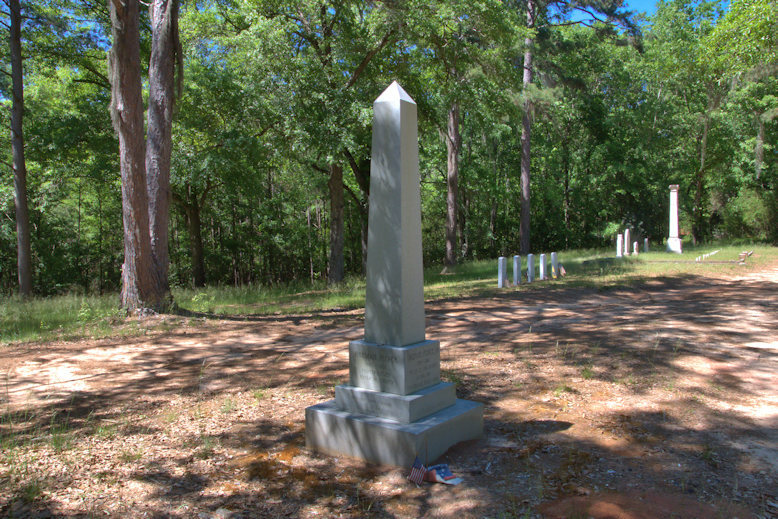 His daughter, Susan Pierce Stevens, was buried in Cedar Hill Cemetery in Dawson, Georgia.